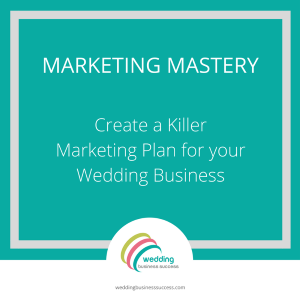 There’s plenty of advice out there for wedding businesses who want to work with more “high end brides”. And, of course, that’s a great aspiration – higher margins, more creative scope. But it’s also highly competitive, so don’t overlook the potential of targeting budget brides – after all there are a lot more of them! A quick check on Google shows that search terms beginning with “Cheap wedding ……” are extremely popular. Plenty of very well known businesses have built their success by appealing to the budget shopper – Ryanair, Aldi for example, so what can you learn from them? The couples who have an average overall budget but want to get as much as possible for their money. They want all the trimmings but are finding that their budget won’t stretch to everything they want, so they need to cut corners or make savings. These couples may be willing to splash out on the areas which are really important to them, but will be looking for frugal options in other areas. Couples who value quality but who don’t want to overspend. They may be having a smaller wedding and will be willing to go for “high end” options in some areas but will either look for budget options for others or just not have that item. The very price-conscious couples who will be looking for cheap options across the board. There are very few couples who don’t actually set a budget for their wedding and are completely indifferent to costs. Even high spenders will have limits and will be looking for good value from suppliers. The first thing you need to do is to understand your target couple and what motivates them. Is it getting the cheapest option, or getting a no frills, value for money option, or getting a quality option at a fair price? This will help you get your marketing messages right. If you are working with price sensitive customers, you must know your figures inside out. How much does it cost you for each product/service? What profit do you make on each product? How many do you need to sell to make a profit? Once you understand this you will be able to set realistic prices and know just how much you can (or can’t discount). 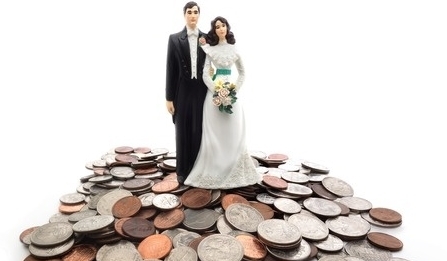 At the budget end of the wedding industry there are several threats which can leave you squeezed in the middle. One is the big businesses who have economies of scale (e.g. Marks & Spencer) and can charge competitive prices. Another is small businesses charging very low prices, either because they are newcomers looking for experience or because they haven’t done their sums and are making a tiny income or loss. And then there are overseas suppliers (particularly dress makers) who provide very low cost items often of questionable quality. Be clear about what you offer that they can’t – it could be original designs, individual service, 15 years experience – and use it in your marketing messages. Getting your product or service right is crucial. Consider offering different price levels, e.g. Gold, Silver, Bronze packages for photographers/planners, personalised/ready to write options for stationery. This gives you a bargain basement option for those for whom price is everything, plus added value (and margin!) options for those willing to spend a bit more. We all want to go the extra mile for our clients but you do need to set limits and charge a fair price if people ask for additional items – especially if you are operating on very tight margins. Ryanair may not be your ideal role model, but the principle of offering a no-frills core product and charging for extras is proven to work. Brides are getting savvier about haggling and asking for discounts. Be prepared for this and have a clear policy. If you do offer discounts or incentives, make sure you have factored this into your pricing. 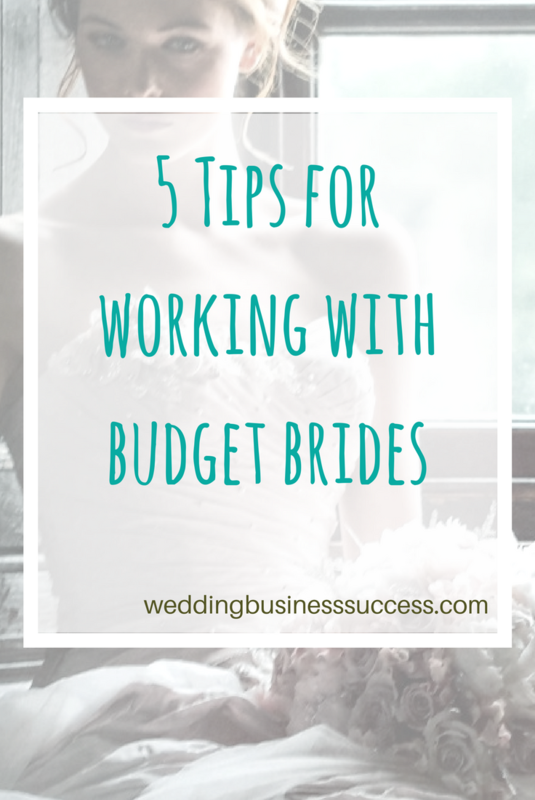 Do you have any tips for working with budget brides? Join the discussion on our Facebook page. How much do you think you are worth?